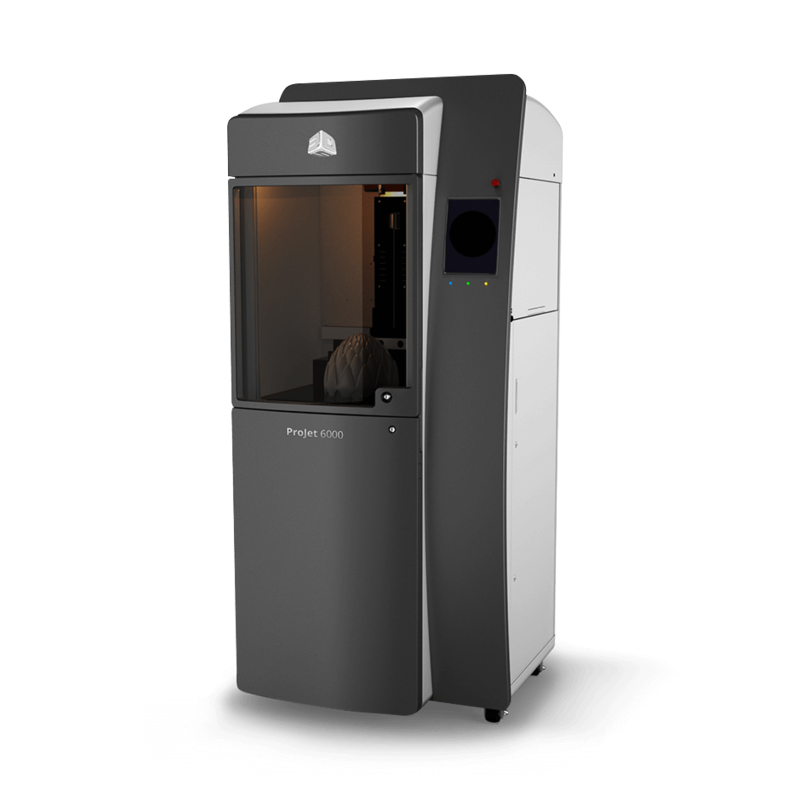 The MEAM Additive Manufacturing Laboratory, or AddLab is the main 3D printing laboratory. 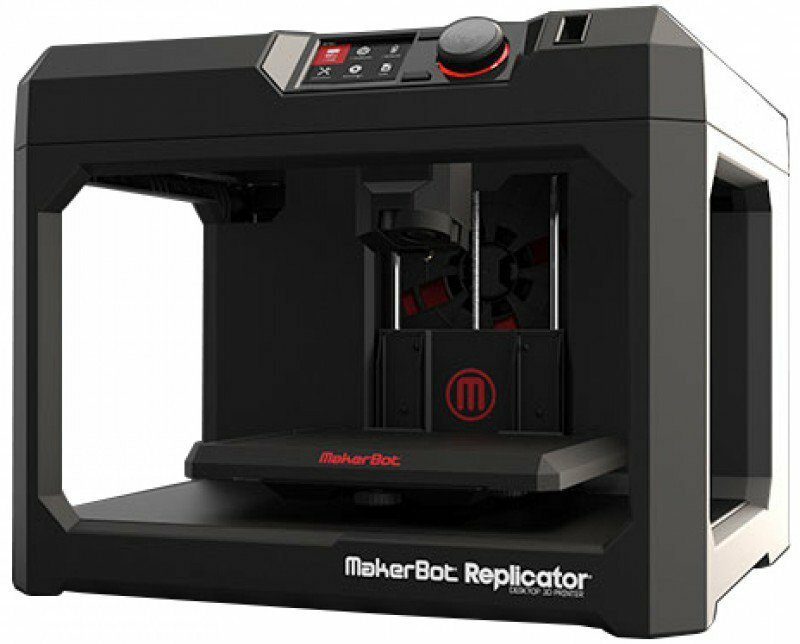 (6) MakerBot Replicator Desktop 3D Printer (5th Gen) - Parts are built up layer-by-layer by extruding a thin filament of PLA plastic. The maximum build volume is 11.2" x 6.0" x 6.1", although it is strongly suggested that parts should not take up the entire build volume to help ensure quality. Please note that the Makerbots for use by engineering students are separately located in the RPL. Dimension Elite Fused-Deposition Printer - Parts are generated by extruding a thin filament of ABS plastic (material datasheet) to create successive layers either 0.007" or 0.010" thick. The maximum build volume is 8" x 8" x 12", and printing costs $12 per cubic inch of both model and support material. Objet30 Photopolymer Printer - Parts are created from a photopolymer (material datasheet - see VeroBlack) in layers only 28 microns (0.0011") thick. The maximum build volume is 11.5" x 7.5" x 5.75", and printing costs $0.62 per gram (or $12 per cubic inch) of model support material. Material and/or changes incur an additional $30 charge -- users will be notified if this is necessary. 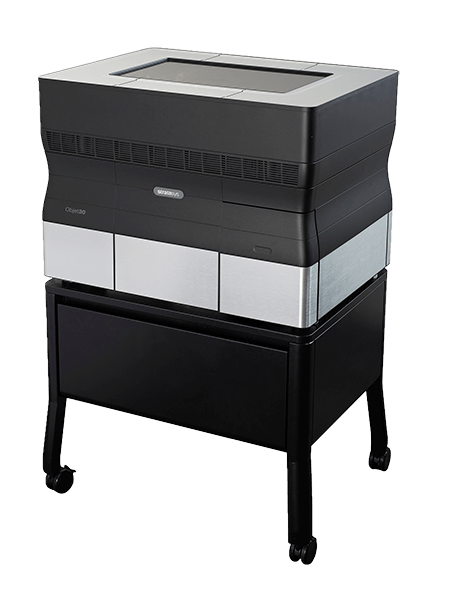 ProJet 6000 Stereolithography Printer - Parts are built by using a laser to trace part layers in a photoreactive polymer vat, causing them to harden into 0.002" or 0.004" thick layers. The maximum build volume is 10" x 10" x 10", and printing costs $20 per cubic inch of model material. 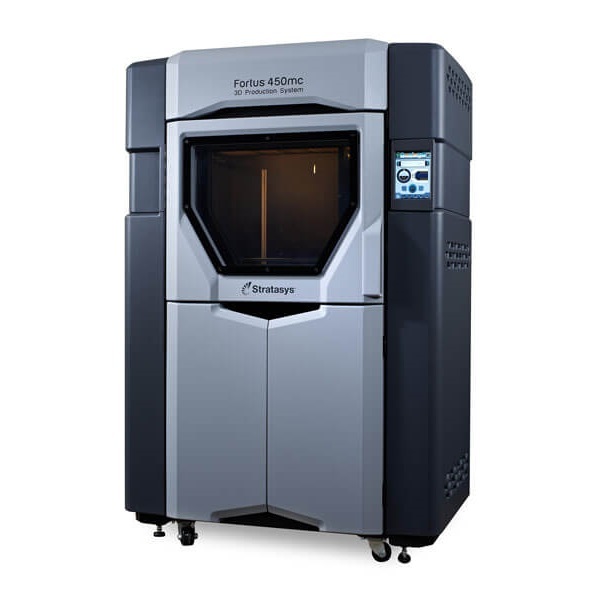 Fortus450mc Fused Deposition Printer - Parts are generated by extruding a thin filament of ABS, ASA, Nylon 12, or ULTEM to create successive layers ranging from 0.005″ to 0.013″ thick. The maximum build volume is 16″ x 14″ x 16″, and printing costs $12 per cubic inch of both model and support material. 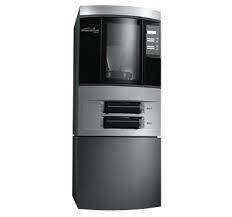 Our machine is traditionally set for 0.005″ in ASA. For any changes in material or resolution please allow for more lead time. We have a collection of 3D printing pictures and videos that can be found here.